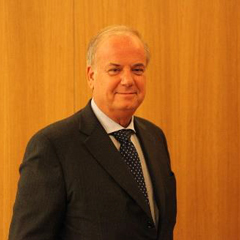 Dr. Francesco Mantovani is a senior global business executive providing strategic advisory to a number of global organizations in the field of Human Resources, Human Capital Utilization, Training and Development, and Knowledge Management. Throughout his career Dr. Mantovani brought the vision and the strategic requirements aimed at executing effective changes and turn-around in organization, driving mission-critical objectives necessary to create and differentiate the business culture of the organization. In his diverse business executive experience he has worked with global corporations, government and academic institutions, business and workers organizations. His drive, integrity and innovative approach to critical topics has consistently garnered the respect, trust and loyalty of leaders, boards, front-line employees, clients and colleagues alike. Dr. Mantovani leverages discipline learned through his initial professional experience serving as an officer in the Carabinieri, and in his successful executive career while serving with a number of multinational corporation operating on domestic and international markets, developing a variety of products and technologies resulting from the well-defined Human Capital planning he has defined and executed. He was active in a number of senior executive positions: Member of the Board Directors, President of the Commission for Culture and Business Training, Fondazione Ansaldo di Genova; Member of the Board of Directors, Fondazione Economica1 dell’Università di Tor Vergata, Roma; Member of the “Education” Technical Committee, Confindustria; Vice President, Agenzia Quacing for quality certification and Eur-Ace accreditation of Academic Programs in Engineering; Member of the Experts’ Committee, ISICT – Istituto Superiore di Studi in Tecnologie dell’Informazione e della Comunicazione – Università di Genova. Throughout his distinguished career he received numerous prestigious recognitions and awards. In 2005 he was bestowed by then President of the Italian Republic, Carlo Azeglio Ciampi the distinguished nomination of Commendatore della Repubblica Italiana, and in 2014 elected to be Maestro del Lavoro.